Our site has information about the band, events we have planned, up to date news, and details on how you can contact us. 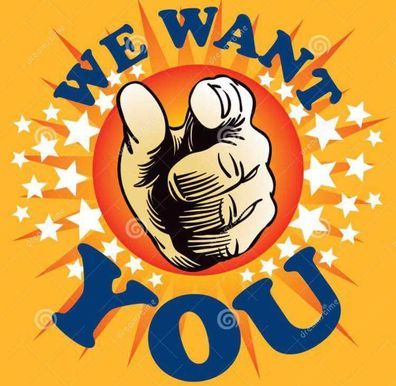 We are looking for new players, so if you can play a brass instrument or percussion we want to hear from you, please get in touch. Check out our EVENTS page for details of where you can see us this year. Anyone wishing to book the band, we would love to come and play for you. Following a busy 2018 and our recent strong placing at the Areas; Moulton 77 Brass Band are looking forward to the next chapter in their story and are keen to welcome new members. We are a friendly, lively group of musicians with aspirations of moving into the Third Section, but we need more like minded players to swell our numbers. We rehearse on Tuesday's 8 pm - 9.45 pm. All players welcome, particularly cornets and trombones. Call Rachael Stoneham (Band Chairperson) on 07599 046641. Moulton 77 Brass Band are looking for a new home! With effect from the New Year, Moulton Club will no longer be able to offer us a home. 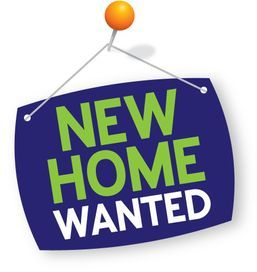 We urgently require a rehearsal space for approximately 25 players, with storage area for our music library and instruments. 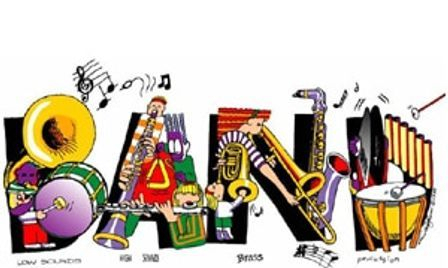 PLEASE NOTE UNFORTUNATELY THE JUNIOR BAND HAS BEEN CANCELLED (This will take place later in the year). The Senior Band Rehearsal will still take place. 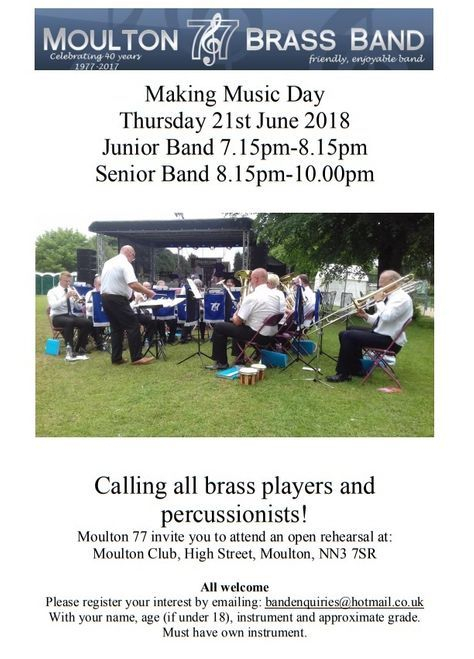 Moulton 77 Brass Band is hosting this event, everyone is invited so please attend, young or old, it is to recruit anyone interested, or anyone who currently plays somewhere else, but everyone is welcome just to come together just for a blow!! Doing Banding. Invite anyone who plays, please spread the word. Or anyone in the Band. We rehearse on Tuesday's 8 pm - 9.45 pm at Moulton Club, 15 High Street, Moulton, Northampton, NN3 7SR. We hope you'll be in touch, and don't worry, there is no age limit, all are welcome. Please can you SHARE this posting, so we can reach as many people as possible (even if you're not interested, someone you know might be). On Sunday 11th March 2018, we took to the stage to compete at the Midlands Regional Brass Band Championship in the 4th Section. 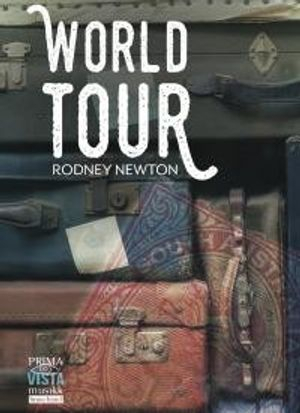 With 22 bands in our Section playing World Tour by Rodney Newton, it was a very long day, especially as we were drawn 22, the last band to play. It had been a lot of work to get the piece ready under the direction of Colin Jones, especially as 6 weeks earlier we didn't have a band!! 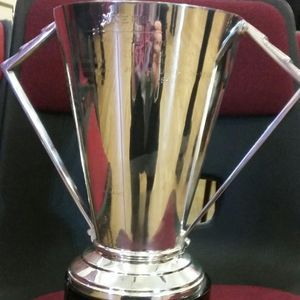 We went from 15 players to 28 players on stage, an amazing achievement, and are extremely pleased that we came 6th place out of 22 bands competing. 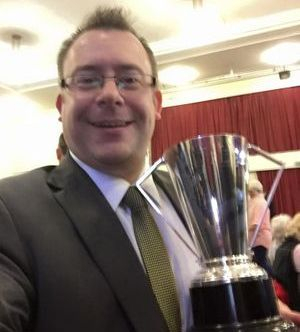 On Sunday 19th November 2017, we took part in the Leicester Brass Band Contest in the 4th Section, it was an own choice contest and we chose to play Hollywood, it was our first contest with our new MD Colin Jones. 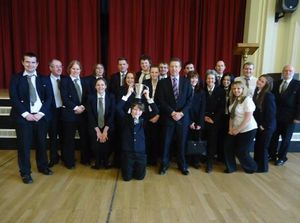 We were all delighted to be placed 2nd out of 11 bands taking part. 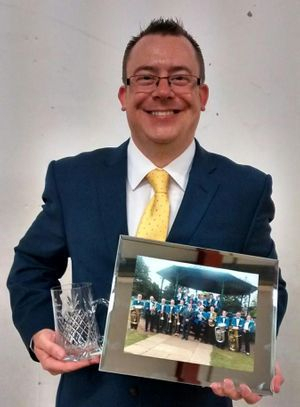 Moulton 77 Brass Band is pleased to announce their new MD, Colin Jones. Colin’s playing career started on baritone in the bottom of the 4th Section with rapid progression through the sections, and he played in the Championship Section for more than 20 years with the Point of Ayr Colliery Band. 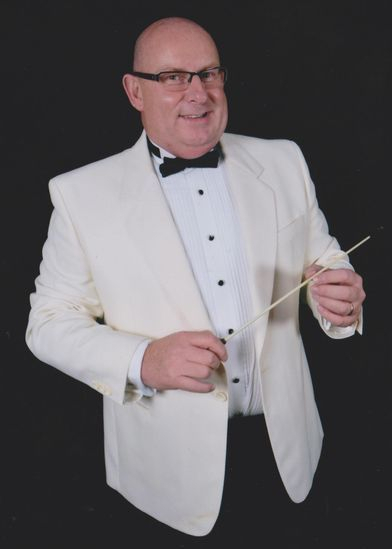 He started conducting back in the early eighties with the Point of Ayr Colliery Junior Band. Whilst playing with the Point of Ayr Colliery Band, he also conducted Deeside Silver and the Gwernaffield Bands in the 4th Section. He conducted the Point of Ayr Colliery Band on several occasions. Whilst playing with the Enderby Band he was appointed the bands Resident Conductor. In 2002, he conducted Croft Silver in the Second Section. He then went to Wigston Band, and has been their Assistant Musical Director for the past five years. Since 2010, he has been involved with the Market Harborough Air Training Corps Band, which is a military style marching band. 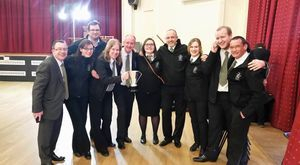 Since his involvement they have won every competition entered with both the full band and fanfare section. Colin is pleased to have been chosen as Moulton 77’s new MD in their 40th year. 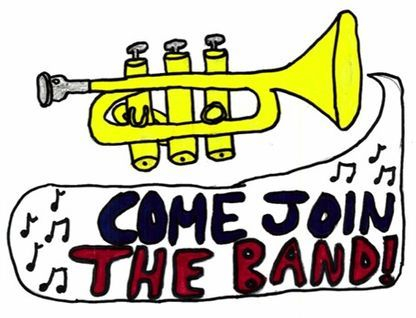 Colin is looking forward to working with Moulton 77 Brass Band to develop their musical ability to meet their ambitions of moving up to the 3rd Section in the near future. 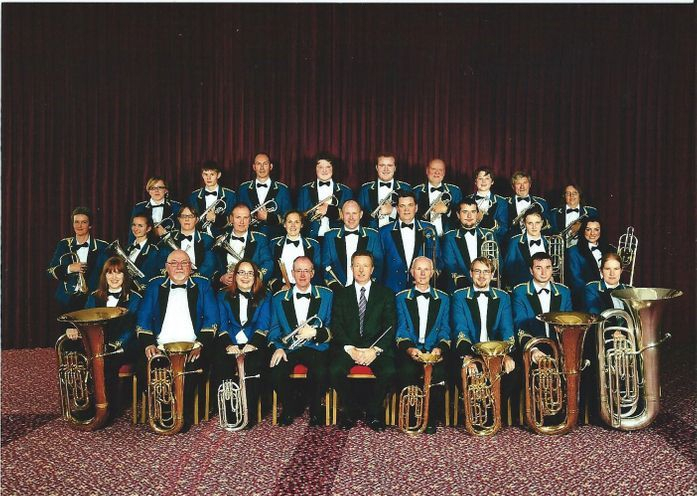 Saturday 6th May - a joint concert with Wolverton Town band at St George’s Church, Wolverton – 6.30 pm. Friday 19th May - Charity Concert at Simon De Senlis School, Northampton – 7.00 pm. Saturday 20th May - Moulton Festival, Moulton Pocket Park – 2.30 pm. Sunday 4th June - Abington Park Bandstand, Northampton – 2.00 pm. A massive, Thank You, went to Nicholas Garman, who sadly left as Moulton 77's MD. He will be a hard act to follow, and we all thank you for all your hard work. 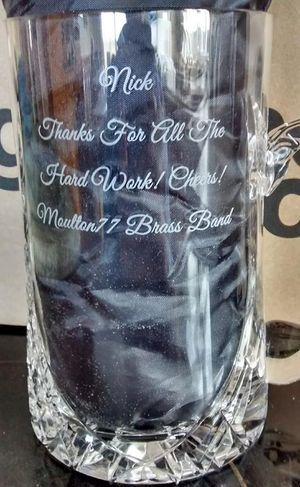 Good luck for the future from everyone at Moulton 77 Brass Band. On Saturday 17th September 2016, we entered the National Brass Band Championships of Great Britain, playing the Suite: Music from Kantara by Kenneth Downie in the 4th Section. 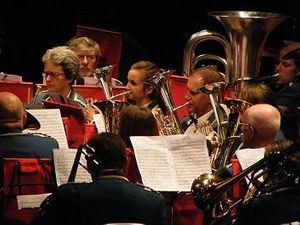 Held at Cheltenham Racecourse, there were 19 bands in our Section. We played well, and coming 11th in the Fourth Section Championships, out of an original 110 bands from the regional contests isn't that bad at all. 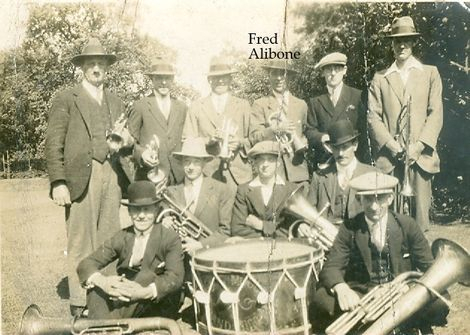 Fred Alibone, the father of Chas Alibone, played the cornet in the Moulton Brass Band. His instrument was made in 1923 by Boosey & Co who, in 1934, amalgamated with another instrument maker Hawkes & Co, to become the famous Boosey & Hawkes instrument manufacturer. In 1937 the band’s instruments were put into storage in a barn behind the Artichoke Inn. Disaster! All were destroyed when the barn burnt down. Sadly the Moulton Brass Band had become the Molten Brass Band. Their assets had been liquidated! However, Fred had taken his cornet home with him and his son Chas has looked after it ever since. Because Fred’s cornet hadn’t been played for many decades it needed to be reconditioned – in the hope it could be loaned to Moulton 77 Brass Band. Unfortunately the instrument is of a higher pitch and doesn’t easily blend in with today’s brass instruments. The old cornet was played by Archie Batty at a recent concert, which until then had remained silent for 79 years, and was recorded for the archives of Moulton’s History Society. Fred’s cornet will be in the archives of the Moulton History Society and it is hoped it can be put on display in the new library when it’s built. Many thanks to Mike Austin, for bringing the cornet to the attention of the band, and Shawn Pagington of First Brass for cleaning it up and getting it working again. Sunday 13th March 2016 saw Moulton 77 compete in the 2016 Midlands Regional Championships in Bedworth in the Fourth Section. We were drawn 3rd to compete against 18 other bands, after weeks of practising the Test Piece: 'The Journal of Phileas Fogg' - Peter Graham. With our new MD Nicholas Garman in the middle, we came a fantastic 3rd, and now qualify for the National Finals in Cheltenham. Moulton have selected a new MD - Nicholas Garman. He comes to the band with a wealth of musical experience. He has played with many of the country's finest bands including Cory, Grimethorpe and Virtuosi GUS. He has a music degree and is currently the Director of Music at Immanuel College. Moulton are looking forward to working with Nicholas. For further information about Nicholas go to our History & Our MD page. 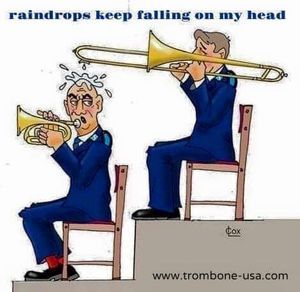 Saturday 7th March 2015 was not a particularly good day for Moulton 77 Brass Band. We came 18th at the Midland Regional Finals for the 3rd Section. Nobody really felt we deserved to come as low as that, especially as we only seemed to be marked down on the fact we played too slowly. As a band we were disheartened with the result but some of us had a good night at Pizza Hut to celebrate/commiserate . We will pick ourselves back up and perform to the best of our ability during our events for the rest of the year. Great surprise for the band when we turned up to band practice and the club had new signs up, and had added Home of Moulton 77 Brass Band. In March 2014 we played in the Regionals for the Midlands Area. We were placed 12th out of 17 bands. A fair result for our return to the Third Section. This has maintained our position in the Third Section finishing 14 out of 18 bands. Please go to the Facebook Page for all the photos. On 21/9/13 Moulton 77 travelled to Cheltenham to compete in the 4th Section at the National Brass Band Finals, playing The Malvern Suite, we competed against 19 other bands, and came 17th. To put this into context, over 100 bands competed in the Regionals held across the Country, and 19 qualified for the Finals. We have done very well indeed. We now look forward to competing in the 3rd Section in 2014. Moulton 77 Brass Band is extremely pleased to have come 3rd in 2013 Midland Region Qualifying Championships on Sunday 10th March. Playing "A Devon Fantasy" we were the last band to play (17th). We have now qualified for the National Finals in Cheltenham. Last time we got a result like this was 2006!! Well Done to Everyone. We are eager to hear from local brass and percussion players. We currently rehearse on a Tuesday 8.00 pm to 9.45 pm, (and very occasionally on a Thursday) in Moulton Club, 15 High Street, Moulton, Northampton, NN3 7SR. Our music ranges from traditional brass band marches to classical arrangements and contemporary pieces. Can you play a brass instrument or percussion? All ages welcome, we want to hear from you, please get in touch. (Please leave a contact telephone number on your emails, occasionally we have found out our replies do not get to you because of spam blockers etc, and we would have no way of contacting you back). Check out this group album on Photobucket - unfortunately you cannot add any photos, please use Facebook instead. 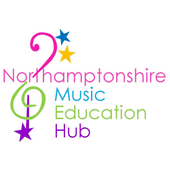 Moulton 77 is now a community partner of the Northamptonshire Music Education Hub.